KXM Amps were built for the outdoors. Power, speaker and input connections are gasket-sealed, as is the control cover hiding the settings, creating a water-resistant barrier to key components. 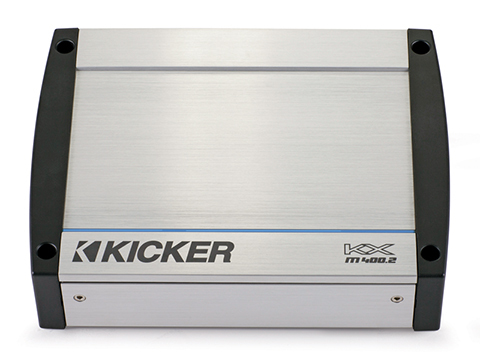 KICKER® takes proven technologies and advanced components to the water with KXM-Series Marine Amplifiers. 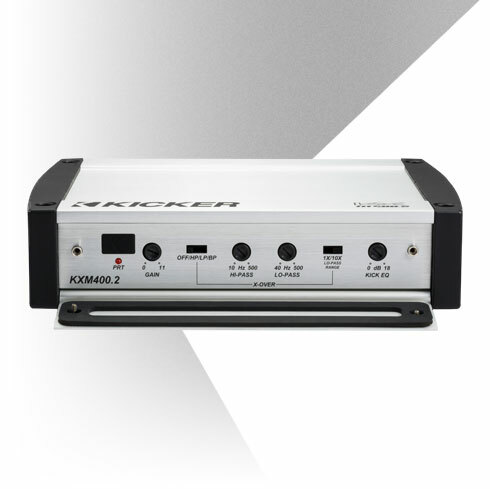 Based on the critically acclaimed KX-Series Amplifier line for cars and trucks, weather-resistant KXM Amps utilize class-leading features specific for unbelievable sound in the boating environment, and within the most compact chassis for installing in tight locations. KXM Amps were built for the outdoors. 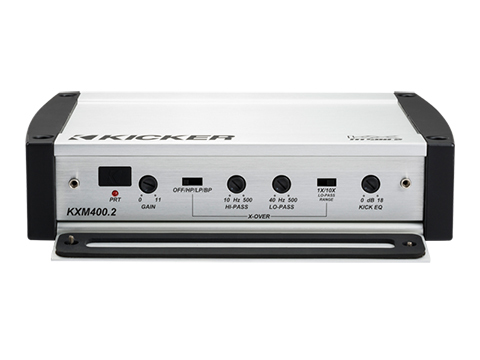 Power, speaker and input connections are gasket-sealed, as is the control cover hiding the settings, creating a water-resistant barrier to key components. The internal circuit board is sprayed with a moisture-deterring conformal coating for water and dirt resistance. 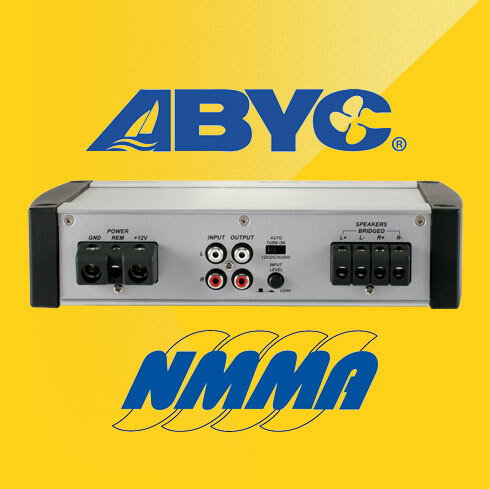 The amplifier's power connections meet marine-industry standards for protection against the elements. Stainless-steel mounting hardware prevents rust stains on carpeting and gel coat, and the UV-treated chassis finish battles harsh sunlight. 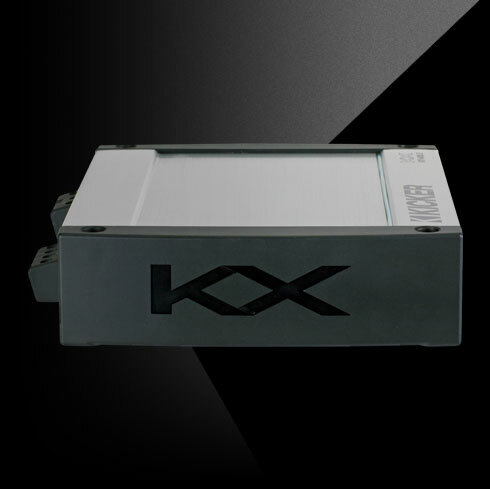 KXM Amplifiers set the curve for smaller chassis footprints, with the largest model measuring at only 12-3/4 inches long. 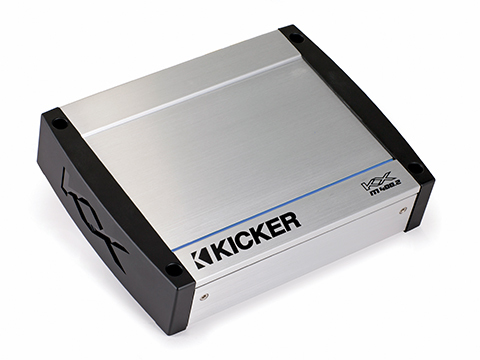 KICKER amps feature an optimized circuit layout for the most efficient use of components, the smallest footprint and clearest sound quality. All three models use balanced differential inputs, making them compatible with any factory radio and eliminating unwanted noise so listeners enjoy the cleanest, clearest sound possible. 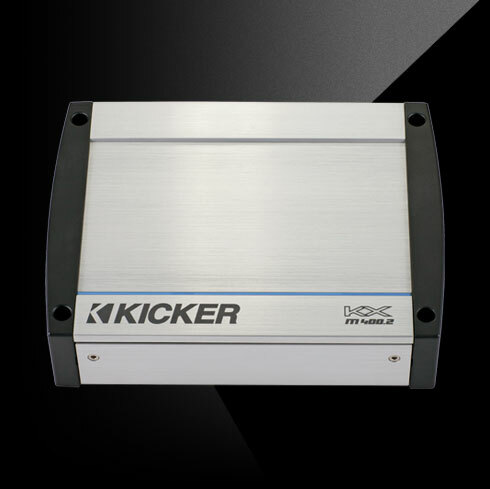 KICKER is a member of the American Boat & Yacht Council (ABYC), a leader in marine-industry education, and the National Marine Manufacturers Association (NMMA), which supports the U.S. recreational boating industry.